When asked most people will say they know that search engine optimization or ‘SEO’ is a method to get your website to show up at the top or the search engines like Google, Bing and Yahoo!, but beyond that it is a little blurry. The mission of this post is to give you a better understanding of what SEO is, and the different factors that come into play. Depending on who you ask Google has between 80 and 200+ factors that come into play when ranking a website and within those factors there are many other details that also have an effect. This post will by no means make you an Expert in SEO, instead we wanted to share with you enough so that you can feel confident when talking with and hiring an SEO company. 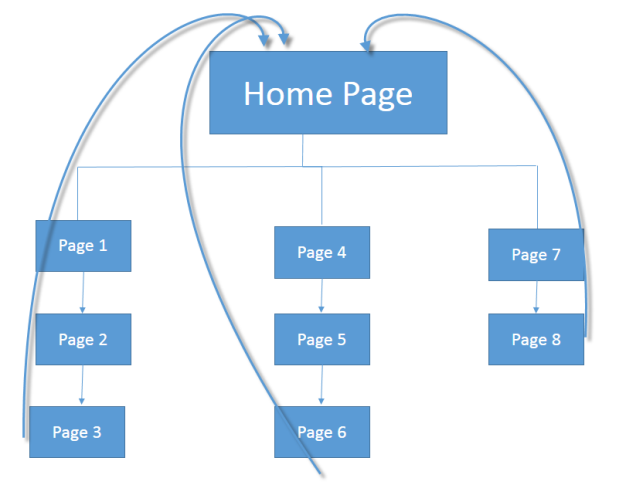 The first piece of the puzzle is your site structure (also known as On-Page SEO), it is estimated that site structure controls between 10% and 40% of your overall rankings. And here is what a ‘siloed’ site looks like, the arrows indicate strength passing from the top pages down then from the bottom back up to the homepage. This way any back links you receive (we’ll discuss this more later) will help boost your whole website not just one or two pages. Next up are the citations (also known as Off-Page SEO). This is simply other websites that link to your website (a back link), this plays one of the biggest roles in SEO and has a whopping 50% – 90% impact on your rankings! Quality is by far the most important factor when it comes to back links. In the video I talk about a great example, imagine if you had a website about your restaurant and the website for the White House linked to your website. You would almost immediately jump to the number one spot and your competition would find it all but impossible to catch you. This is because the White House website has a perfect score for authority (we call this Page Rank or PR in the SEO community). There are only a few websites on the entire internet that have this score (a PR 10), including Twitter, the United Nations and the US Government website. Not even Google, Facebook or YouTube have a PR10! Now logic should be telling you there is no way you will get a link from the White House website, I would imagine it would be a huge uproar if any business did. The good news is that neither will your competitor! 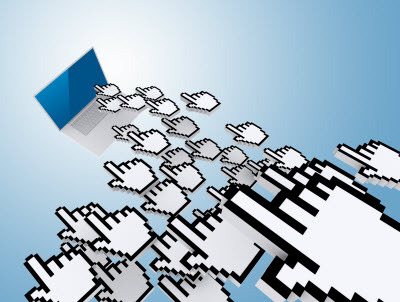 There are a number of other websites that you can get a back link from that has authority. For example your local chamber of commerce, an association or even sites like AngiesList or Yelp. In addition you can gain links from your social media accounts including Facebook, YouTube, Twitter and Linkedin, however these do not have as much power because they are what is called a nofollow link. Without going in to too much detail ‘nofollow’ simply means they are designed to not pass along the authority of the website. The reason these big websites do this is to stop spammers from creating hundreds of fake account just to improve their rankings. The ‘Anchor Text’ of the link will help tell search engines what your website is about and will help you rank for that word. A huge word of caution back links pointing to your website should not all use the same text because this is an indicator you are trying to manipulate your rankings. This is one of the reasons many websites were penalized during the recent updates. You are pretty safe if you are linking with your company name or your URL. The third piece is the Theme of the Citations, simply put this is what the words around the link are talking about. For example if you sell dog food and you have a link from a website about remote control cars that would be a little weird. You would still get some credit for the link however Google and other search engines lower the credibility because it is somewhat irrelevant. At the same time if you had a link from the Westminster Dog Show website to your dog food site it would be extremely relevant and give you a huge benefit. Last but certainly not least is Legitimacy. While this may not directly increase your rankings by not having these pieces your rankings may be artificially held back. The first part is your websites authority, sometimes referred to as domain authority or page rank. The reason we don’t use the term page rank is because this is a number that is only truly known to Google, they update this number occasionally to the public (about 10 months between the last two updates). However internally this number is updated daily or more. Domain authority does not affect your rankings directly however it does give you authority with the search engines and makes it substantially easier to show up higher in the rankings. The factors that can affect this number are age of the domain, size of the website (how many quality pages), frequency of updates (if your website hasn’t changed in 10 years your score would be lower) and quantity of quality back links pointing to your website among other factors. This is why sites like Wikipedia show up consistently in the top ten search results, they do virtually no SEO but they will continue to rank because they have a high authority. Content is the next piece that comes in to play in a few different forms. First search engines want to see that you have content on your site, if you only have a one page website it will be very difficult to rank, they want to see at least five pages so they can be confident that visitors will find their answer on your site. Next is unique content, many websites are penalized because they have duplicate content meaning that the exact same text appears on multiple pages. They also want to see that it is quality content, there is a lot of debate around what exactly this means. We define it as useful information for a visitor, not a certain amount of words on a page. For example if you search ‘what time is it in New York City’ you don’t want a 800 word article you want 3-4 numbers and either am or pm THAT’s IT! The way search engines can decide if you site is quality or not is by looking at if visitors stay on your site or they go back to the search engine looking for a different website. Finally there is social or social media, this is another interesting topic. For the past 6-12 months a lot of people that do SEO have been saying that ‘Social Signals’ (Facebook Likes, ReTweets, etc.) are the most important factors in rankings. However this is simply not true, in fact Google has publicly stated that those factors do not affect rankings (Source: YouTube – Are Facebook and Twitter signals part of the ranking algorithm?). At the same time they do help establish legitimacy, meaning a very low quality website most likely does not have a Facebook Fan Page, Twitter Account and a Linkedin Profile. So by having these sites setup you are helping to establish your website and business as legitimate not only to search engines but also to visitors. In addition leveraging these social media websites can generate more visitors to your companies website. 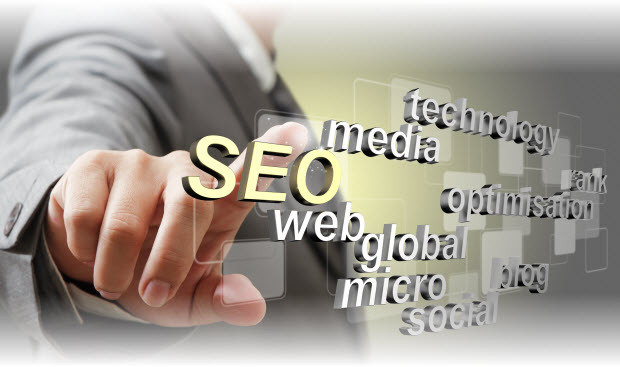 Read Minneapolis SEO Explained for more information.